« What Are Your Hours Like? congrats meggie!! i’ve watched you (from afar!) fall in love with my city (i’m from brooklyn originally) and the sport i love (i started running when i was 8) and bonded with you (again, from afar!) over our shared love of lauren fleshman and 5ks. is it weird for a stranger to say i’m really excited for you…?? even if it is, i am. best wishes in cali! NOT AT ALL! Hey – I met my best friends on the internet! Seems to work! Thank you so so much! Here’s hoping its as good to me as NYC was. Congrats on USC. 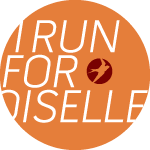 Love reading your blog and happy to have met you briefly at the Olympic Trials in 2012 when I was just getting to know Oiselle. I always love reading your blog! My daughter is heading into her senior year with dreams of NYU and we have also visited USC. She wants to study journalism and pole vault in college We will see which coast she lands on. If NYU is where she selects we will reach out for all NYC tips!! Thank you so much! Definitely reach out if she makes her way to either NYU or USC! xoxo don’t be a stranger if you visit LA! Similar story (minus the medical school!) for me. Went to Stern undergrad, worked in the city for a few years and now live in Santa Monica. It’s a different world out here but a nice lifestyle! Welcome! Good bye to all that – and hello to All the New! Can’t recall how I stumbled on your blog – most likely some combination of Oiselle and twitter – but best of luck as you start a new adventure in LA. I enjoy reading a strong, smart, brave and confident women’s perspective on life – and you have that in spades. Thanks for sharing all the training (athletic and professional) ups and downs throughout the years.